I’m so excited that Susannah & Justin’s Mr. & Mrs. session was featured on Hot Pink Brides last week! Hot Pink Brides is a guide for modern & glamorous brides and I absolutely love it! They have so much eye candy and great inspiration! It’s definitely worth adding to your google reader if you love fabulous & funky wedding ideas! Which, by the way, I totally DO!! It means so much to be featured on this awesome blog! This shoot was definitely an amazing one, and it’s so awesome to see it be recognized!! 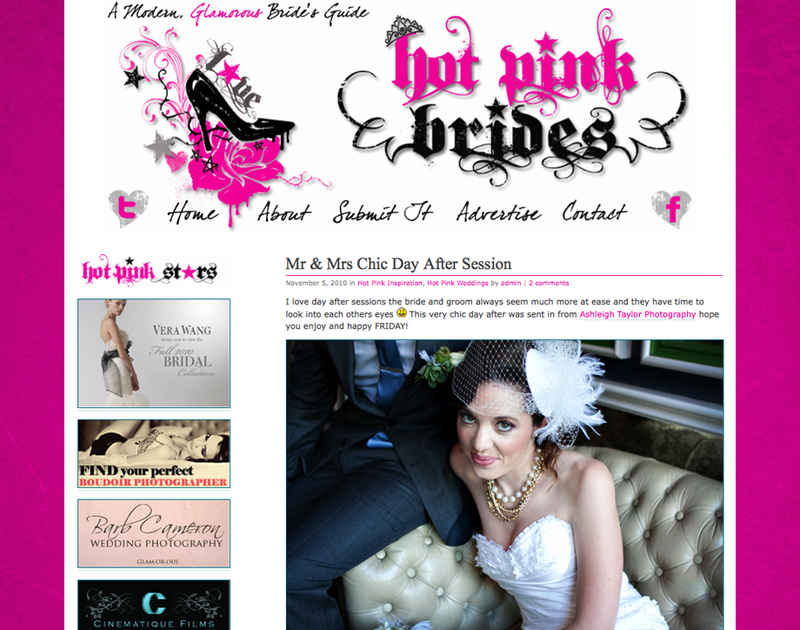 Thank you Tabitha at Hot Pink Brides for the feature!